She lives a demanding, but colourful life. She has been her own biggest critic and strongest champion. She has overcome fears, earning accolades and titles even she didn't think she could. To sum up Wendy Hazel-Ann Lewis in just three words, one would have to say, "resilient and spiritually tenacious." Persons interested in the entertainment industry may know Lewis by her stage name, Wen’D. A woman who has filled many roles, Lewis prepares to add another accomplishment to her resume: author. Her first book, the inspirational Victory in the Valley, is to be launched later this year. Valleys, for Lewis, represent episodes of great negativity or traumatic experiences, which can and often leaves one overwhelmed, overcome and burdened. In her own valley moments, Lewis told WMN, she chose to focus on the source of her strength... her faith in God and what his teachings stood for. Lewis, who attends the Empowerment Temple International Church, San Fernando, told WMN her personal mantra is, "forgive, forgive, forgive". It is through this ideal that she has been able to rise above life's adversities. In her role as mentor and motivational speaker, she now seeks to be a voice, listening ear and channel through which others can do the same. For Lewis, who is completing her MBA in Marketing at Anglia Ruskin University (through SAMS Caribbean Ltd), listening to supporters rather than detractors has been the cornerstone to her success. Her mother, Marilyn Lewis, and three brothers, she said, have been her biggest supporters. They were wholeheartedly behind her when, after completing secondary school in Trinidad, Lewis decided she wanted to study abroad. She completed her A levels at the East Berkshire College in the UK and is a certified protocol officer through the European School of Protocol, also in the UK. In 2008, after deciding she had accomplished all she had set out to academically, Lewis came back home, initially to spend six months with her mom. Instead, she secured a job as CEO of the Trinidad and Tobago Entertainment Company and has been back home since. Lewis, 47, has been entrenched in the entertainment industry for more than half her life. She began this part of her journey in the mid-1990s, out of the Kiskadee Karavan musical movement that was led by businessman Robert Amar. Singing, it seems, runs in her family; Lewis is cousin to former road march champs, Nigel and Marvin Lewis, the duo who took TT by storm with "Movin" in 1996. That single, recorded at Graham Wilson’s Woodbrook studio in 1999, was later remixed by Kenny Phillips and featured comedian, Sprangalang (Dennis Hall). This led to Lewis' first album, D Journey Continues which was produced by St Lucian arranger Shawn Marcellin and featured tracks produced by Shawn Marcellin, Kenny Phillips and Martin “Mice” Raymond in 2004. Her involvement in the entertainment industry has included stints as both performer and manager. In fact, after migrating to the UK in 1993, she became the European manager for Trinidad-born rapper General Grant (D Shot Call). In 2000, she competed for the UK Calypso Monarch title against her friend and colleague, Kerwin Du Bois, the reigning champ at that time. Lewis recalled to WMN, “I was truly humbled, excited and stunned all at the same time as Ella Andall, a vocal powerhouse was always someone I held in high esteem." Lewis, though, felt she had only two challenges. She doubted she could dethrone Du Bois and she had only one song – the competition required two. As fate would have it, she was at a bus stop in East London and had a chance encounter with calypsonian Tobago Crusoe (Ortneil Bacchus), who wrote her second song, Mother Africa, for the competition. That chance encounter would also lead to the formation of London's first parang band, Los Paranderos de Londres, with Lewis as lead vocalist alongside Crusoe, Bruce Finlay and Isele Robinson-Cooper. Lewis placed fourth in the competition that year. Du Bois retained his title. She refused to be defeated. "While others felt that was an excellent first-time feat, I was not a good loser and immediately decided to prep for the next year which they changed to one song. Back to Crusoe; he penned Immigrants Dilemma. Ella Andall drilled me for weeks! Leroy Calliste (Black Stalin) showed me how to master the stage as he was the guest artist at the London tent that season. “Dressed all in red with my supporters in red t shirts – the colour which for me depicts victory – I performed with all I had in me and was able to dethrone Kerwin. I recognized early o’clock that the only limitations to life are the ones which we place on ourselves and with God all things are possible," she said, boldly. It certainly was, as she won the 2001 UK title and retained it again the following year, with "My Kinda Man, another Crusoe composition. "Sandra Des Vignes Millington (Singing Sandra) was in London at the time and took me under her wing. In Trinidad, I made it to made it to Skinner Park (and) I also placed third in Social Commentary and performed with the Divas Calypso Cabaret for three years as the London’s Diva," she recalled. If she were to sing again, Lewis said, it would not be in the same genre. She is, though, contemplating releasing a gospel album in the near future. 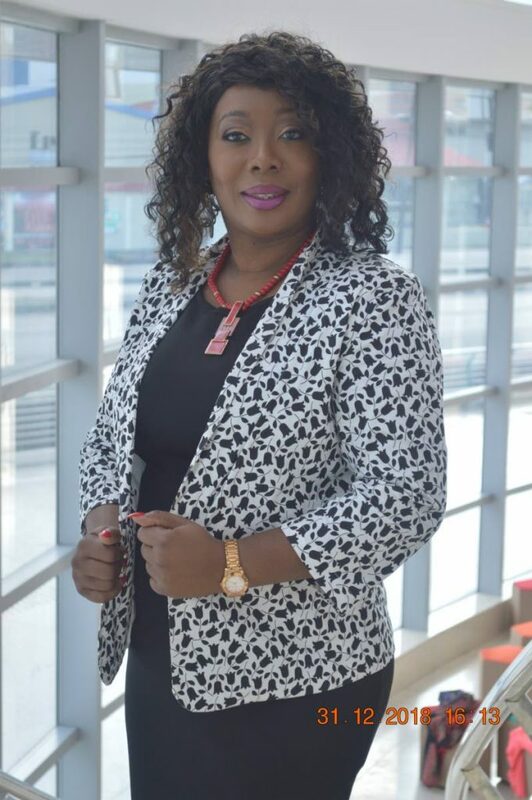 When she returned to TT, Lewis, who studied broadcasting at both Institute of Broadcasting Careers BC (IBC) and with broadcaster and journalist Eddison Carr, began hosting the morning programme on what was then Soca 91.9fm now called Street FM. Shortly after she was appointed CEO of the Trinidad and Tobago Entertainment Company Limited and was also managing soca artist, Patch who performed at Bunji Garlin’s birthday bash in Washington DC that year. 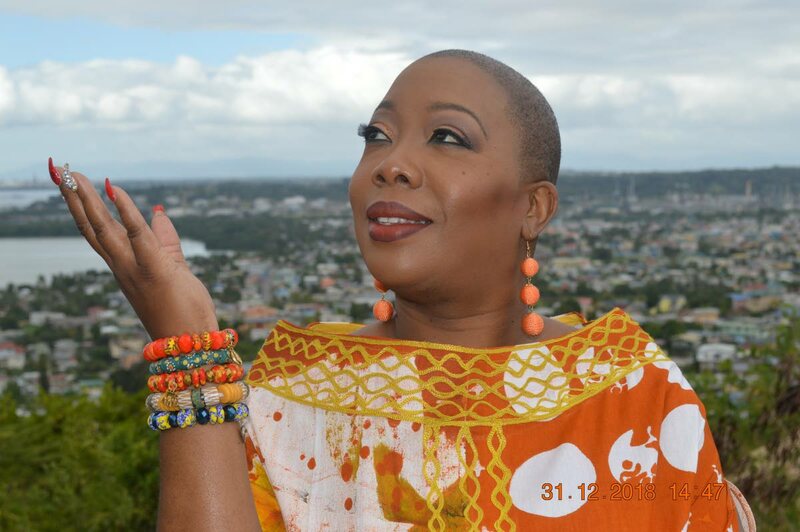 Her stint in television came about during a conversation with entertainers Denise Belfon and Fay Ann Lyons-Alvarez. Belfon reasoned that Lewis would master a television talk show. Alvarez, she said, supported this and a seed was planted. She did her research, studied talk show icon, Oprah Winfrey and soon after began hosting Down to Earth with Wen/D on TV6, on Sunday evenings. The show, now in its fourth season, would this year feature episodes with San Fernando Mayor Junia Regrello; entertainers Terri Lyons, Blaxx (Dexter Stewart), Mista Killa (Hollice Mapp) from Grenada; and many others. And her experience doesn’t stop there. 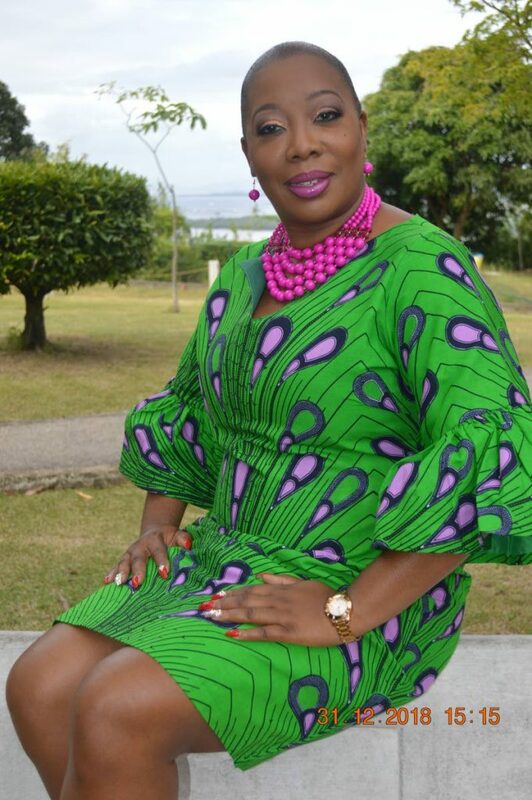 Her political career began to germinate in 2001 when, after winning the London Calypso Monarch, Lewis formally met former prime minister Patrick Manning. Lewis, originally from San Fernando, said her family knew the Mannings quite well. "We stayed in touch and when I returned to Trinidad, I became his personal protocol officer right after my tenure at The Trinidad d Tobago Entertainment Company Limited. I eventually served on the San Fernando East Executive as the area manager for Mon Repos/Navet; assistant coordinator for local government; where I (conducted) corporate protocol and etiquette training, which included public speaking, table of precedence, strategic marketing for elections, etc," she listed. It was during her tenure in the political arena, Lewis stressed the need for more focus on corporate protocol and etiquette training both on and off the job. This led to the formation of the TT school of protocol in 2014, which was re-branded, the Trinidad and Tobago Corporate Training Academy in November 2017, as several other modules were added. "We now offer several training initiatives in both Trinidad and Tobago and also (to) the government of St Vincent & the Grenadines and have served the banking industry, legal firms, state enterprises, etc," she told WMN. Lewis was adamant: nothing she has ever accomplished, could have been done without humility. Lewis has spoken to women and girls from all walks of life on holistic empowerment, independence and becoming entrepreneurs, as the district manager for Caribbean Women Honors and Empowerment (CWHE). CWHE TT is the eighth chapter in the Caribbean joining St Lucia, Barbados and others, with 13 chapters in Africa and 11 in the US. It is partly funded through training initiatives and sponsorship and has assisted hundreds of women worldwide. "I am not only mandated, but morally obligated to guide our girls; our young ladies and our sisters to place value and worth in themselves regardless of their past and/or what they’ve seen or been told. Morality is slipping away. Our young ladies assume that life is running away. I believe in education and entrepreneurship. We have to be accountable for the behavioural pattern of our young people and not allow technology, mis-management of their minds and ignorance to plague our land," she concluded with a confident smile. Reply to "Wendy Lewis has found victory in the valley"